Developing the Surgiscop wireless teaching and healing surgical and diagnostic tool group and its associated training simulation model prototype and designed training operating room. The purpose of the project is to develop a prototype of a digital imaging product family for use in Surgiscop, human and veterinary medicine, and a prototype of a mobile image processing and display system, which can be used in wireless surgery and diagnostics which allows the development, optimization of surgical techniques and thus better patient care, as well as the training of human and veterinary specialists and students for the acquisition of regenerative surgical techniques. By developing the product line, it is possible to expand the range of procedures that can be performed by laparoscopic / arthroscopic techniques, which, in contrast to conventional interventions, provide patients with quick, minimally invasive healing, shortens the period of postoperative hospitalization, and post-operative pain is significantly lower and complications after conventional surgical procedures are avoided. It is also an important aspect that surgery can be better tolerated from the cosmetic point of view of patients / owners. Although the equipment is not cheap, due to the above reasons, the post-operative maintenance period, the cost savings of the drug and the quick rehabilitation of the patient are extremely effective from an economic point of view. Another important advantage of the system to be developed is that instead of the previously used complicated and difficult to move transportable devices, it provides a light, fast-deployable mobile device, which enables the application of the above procedures in the wider professional circles. In veterinary practice, the great advantage of the system is that the same devices can be used well on different species (exotic large birds, turtles, dogs, horses, etc. ), so the equipment to be prepared can be of great help to a wide range of specialists. Mobility allows for extensive training of professionals, since the right skills are the so-called “keyhole” techniques can only be practiced in a few places, with special courses. It is part of the system to be set up, as well as the preparation of silicone torsions where surgeons can learn the theoretical and practical foundations of this special area in a practical way. Laparoscope handheld camera: Developing a handheld camera that is compatible with laparoscopic sleeves currently in use and wireless connection to portable image display and data capture unit. Laparoscopic surgery in human surgical practice is a so-called “gold standard” for many interventions which is a type of intervention in the treatment of the primary lesions to be chosen. Arthroscope handheld camera: Developing a handheld camera that is compatible with arthroscope sleeves currently in use and wireless connection to portable image display and data capture unit. Arthroscopy is also a minimally invasive surgical intervention where the surgeon visualizes, diagnoses and treats the disease within the joint. Testing the developed system in animal model experiments, developing new surgical procedures for imaging, digitizing surgical procedures, and so-called surgical procedures creating teaching files and web-based educational modules. Preparation of silicone torsion based on CT and MR reconstruction imaging and a database created by digital 3D scanning of anatomical preparations on the most commonly arthroscopic joints on horse and dog species. Developing a training lab using wireless system and silicone torsion. 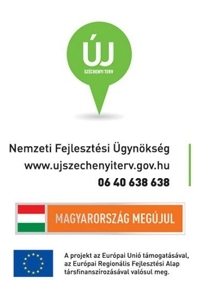 Mailing address: 1539 Budapest, Postafiók 684.